I thought this would be perfect for the very rainy Wednesday I woke up to. I already had my morning coffee and a piece of toast with butter, when I remembered that our kasambahay cooked champorado yesterday morning, which I had not gotten around to eating. 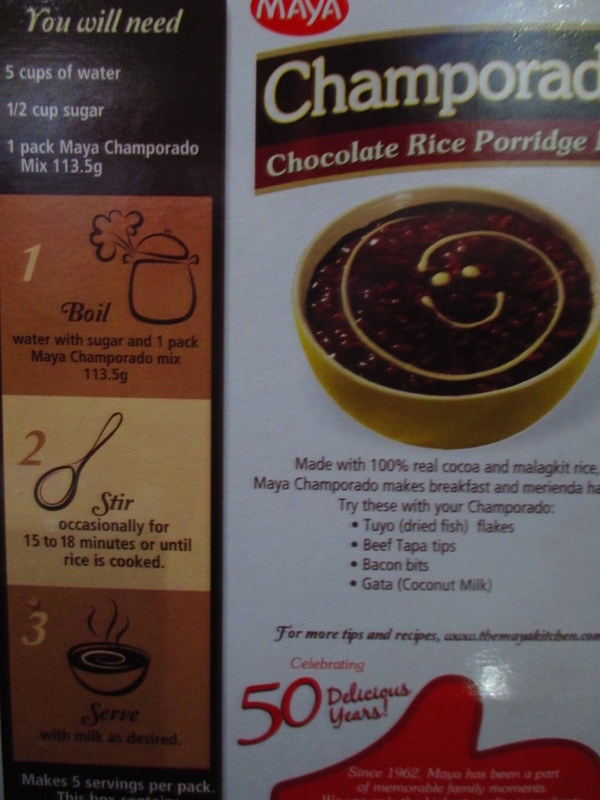 For those who are craving for champorado like me, especially in this rainy weather, the box has an instruction on how to go about it. This entry was posted on July 8, 2015, 9:57 AM and is filed under Information, Interests. You can follow any responses to this entry through RSS 2.0. You can leave a response, or trackback from your own site. Ms A thank you for always giving us fresh ideas. Maluto nga yan, dito at my side ay little cooler kahit summer na, we’re almost 20°F lower than normal temp. 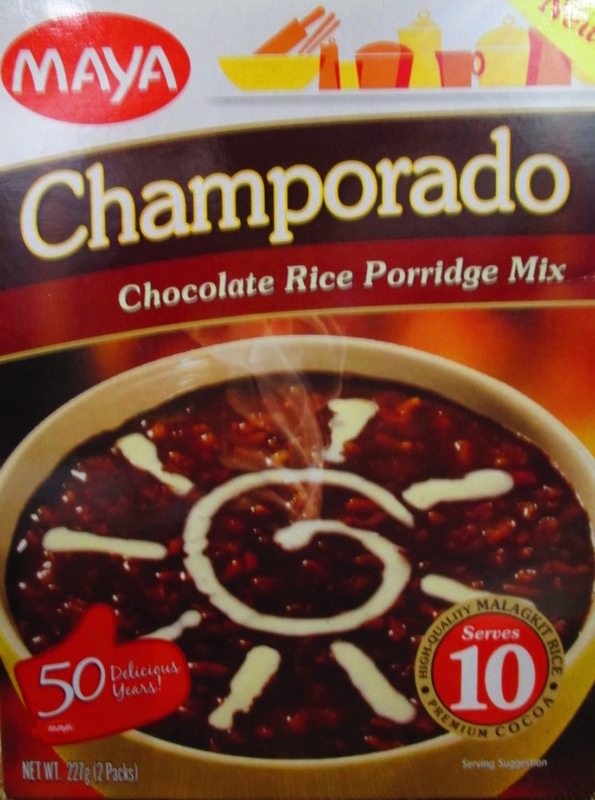 My kids love champorado. Sabi nga nila Pinoy got weird combo taste, we love eating pritong talong at daggit, sabi nga namin to die for! LOL…. Ms A thank you. Pag uwi ko hahanapin ko yang danggit na binabad na. For those na hindi pa na try- it’s a MUST! 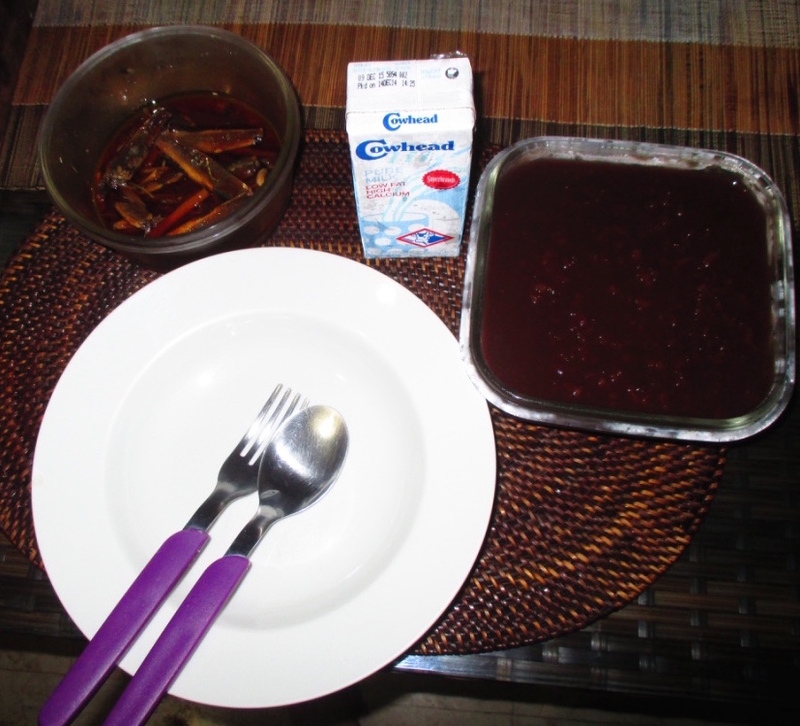 Perfect combination yong sweetness ng champorado and the saltiness of tuyo. Yeah, it sounds weird; but, trust me, it tastes heavenly. It has been one of my all time favorite breakfast meal especially on a week-end when I have time to stay longer on the dining table. 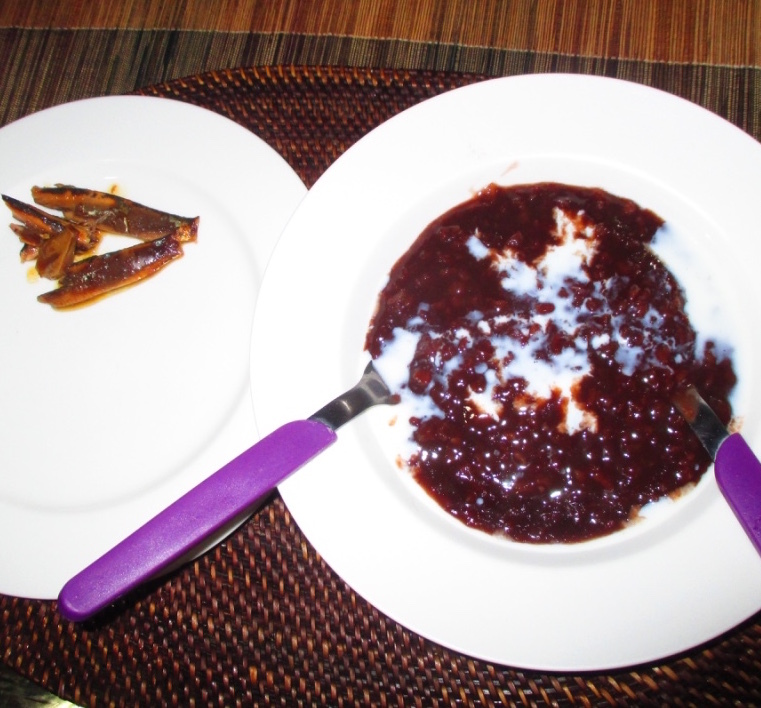 good to eat yang champorado and tuyo kapag ganitong maulan.kapag walang tuyo, cheese ang partner ng champorado ko.naglalaban ang tamis at alat. Thank you A sa share. Nagpapagutom ka naman eh. I miss those kind of foor here sa HK. Meron akong mabibili, as you say those instant ones, kaya lang pag pinipare ko na ako lang ang kakain. Yung anak ko at mister ayaw – mga tsekwa (chinese) kasi eh. My daughter half tsekwa, half Pinay, ha ha ha but ang taste nya is tsekwang tsekwa. She only likes our chitcharon, tortang karne and cakes na gawa ng Goldilocks – she loves them. Here in HK, medyo ok pa naman ang weather. It is hot pero miracle, we have winds, quite strong pa. That is because of the typhoon dyan sa Pinas. Anyway, just stay indoors, stay safe and take care always. Cheers and enjoy your champorado! Hi Marian! The cool weather brought by the rains is actually a relief from the oppressive heat we had until recently. Iyon nga lang, masyadong maulan. I went out earlier as it got a bit sunny, pero ngayon balik na naman sa madilim and maulan. Masarap pa naman kumain kapag maraming kasalo and may kaagaw, as the case with chips and dips! Kapag mag-isa na parang hindi na ganoon kasarap. Have a nice day, Marian! Thanks! thank u for your message!